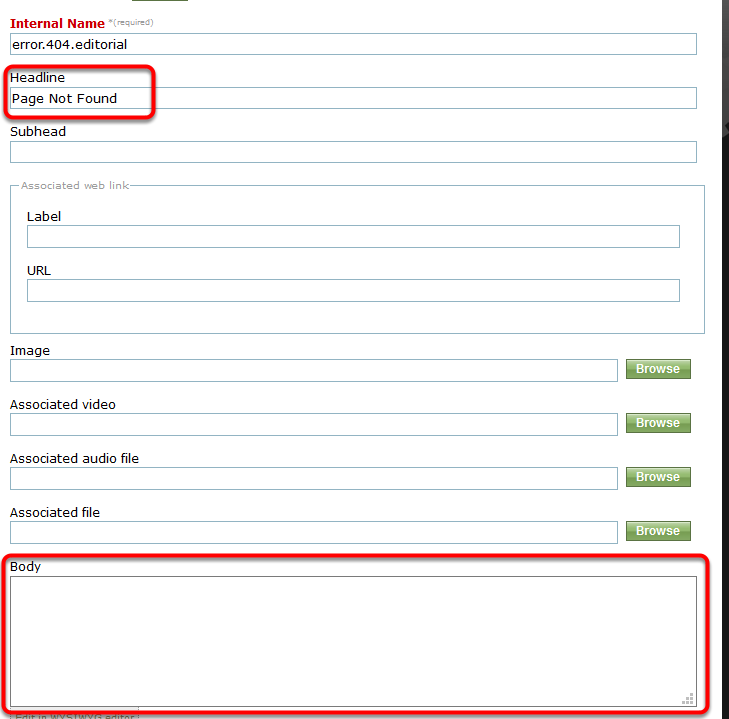 ePublishing Knowledge BaseePublishing Knowledge BaseePublishing Knowledge Base Managing the websiteHow can I control my 404 or Page Not Found page? You've seen the amusing error pages on other sites and you want to make your 404 error page reflect the personality of your site and guide your site users better. 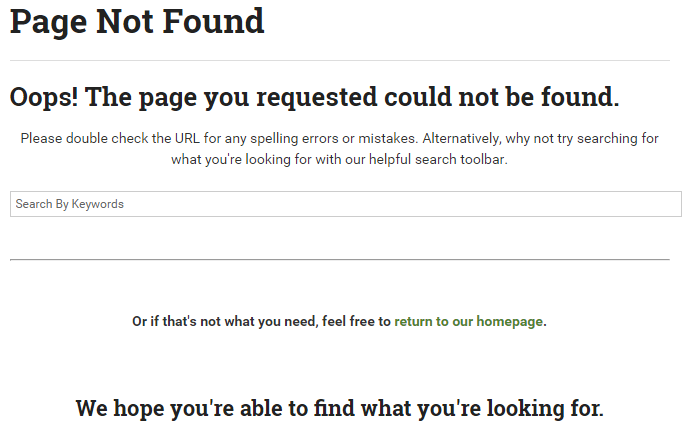 You can control the 404 Page Not Found error page by using the Editorial Content Manager. Select the title in the search results. Zoom: Select the title in the search results. Edit the headline and/or body with your changes (outlined below). This will trigger a 404/Page Not Found page on your website. If you see additional changes are needed, return to your editorial content area and edit accordingly. Next: How do I control which default image is shared with social media?